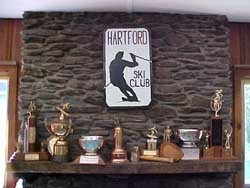 This web site is a publication of the Hartford Ski Club Inc., Hartford, Connecticut. The entire contents of this web site remain the property of Hartford Ski Club Inc. Unless otherwise noted, all information furnished herein is provided by the Hartford Ski Club Inc.
Hartford Ski Club Inc. assumes no liability for any of the information contained herein. The electronic mail addresses available on this web site are for Hartford Ski Club Inc. business only, and are not intended for commercial use such as Unsolicited Commercial Email, also known as spam or junk email. Inappropriate use of these electronic mail addresses will be considered theft of service. Unauthorized access to the members-only or administration web pages on this web site is prohibited. Attempts to access the members-only or administration web pages on this web site without authorization are tracked and will be prosecuted. Written permission is not required to link to any non-password protected page on this web site. This entire web site is a copyrighted work. Copyright � 2001, 2019 Hartford Ski Club Inc. All rights reserved.